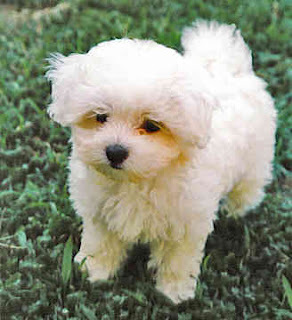 Maltese is known to be the oldest of the European Toy breeds. They were well-liked by the nobles, royals and aristocrats, Maltese are very well-mannered and loving and exhibit a very nimble and dignified bearing. They display great joy and happiness and are extremely sharp, lively and skittish. Maltese possess a very outgoing nature. They are satisfied and happy whether they are with their family or in the show ring. This well-popular breed of dog is quick-witted, affectionate and a very loyal companion. The Maltese is kind, trust worthy and acquiescent and they are mostly of a cheerful nature. The Maltese is friendly and like to be held and cuddled. They will bear other pets, but are not suitable for heedless and ill-behaved children. They get close to a single person most of the times and do not like to be left alone over a long period of time. The Maltese may be excessively protective of their owner, family and terrain and may bite or bark if they detect some kind of menace. The Maltese is brave, strong and shrewd among dog’s breed and get itself fully committed to their owner and families. The Maltese coat needs to be brushed and combed daily in order to prevent matting and tangling. Their coat is highly soft, fluffy and silky, so it needs gentle care. They are non-shedding. The sumptuous cloak of white is the trademark of the Maltese. They are difficult to train in houses so crate training is suitable. Maltese elicit best output with early socialization. Training must not be done rudely; rather it should be done with thorough patience, care, love, reward and consistency. The Maltese is skilled at learning tricks and are obedient by nature, so they do not need highly obedience training. The Maltese do not require extreme exercises. They are recommended for keeping in apartment or condominium living. They enjoy daily walk, indoor play sessions, or a romp and run in a protected small yard. As this breed likes to get socialize, so a play date at the park is welcomed. They must be leashed with safety and under supervision. The Maltese may be expected to have eye and respiratory problems. This kind of dog breed does not do well in extremely hot climates and moist weather conditions. They may be fussy eaters and suffer indigestion. Their dental care is very important to prevent tooth loss.